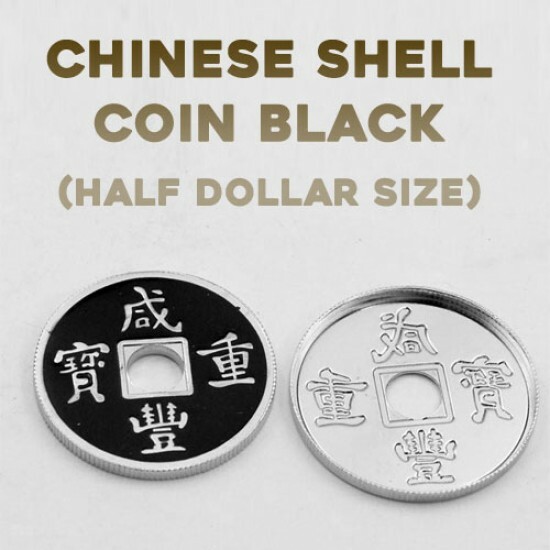 Precision made, this shell coins are manufactured to nest over the Half Dollar Chinese coin (Provided in trick). Supplied as a set - one shell and one black coin per set, Basic instructions offering few trick plus tips and suggestions. High quality imitation Chinese coins, perfect for all of your routines. Highly-polished finish with raised Chinese characters on one side and an exoti.. This is a 7.5 length of stripped Invisible Thread, enough to 100's of effects when Properly used. Levitate. Suspend. Animate. Touch. Hover. Mo..